BUT... there are many out there who do make unbelievable leaps to connect random cards together for synergy and have a great strategic mind and credit should always go to those that its due. Everybody likes recognition So I will make mention of people whom have contributed as best as I can. 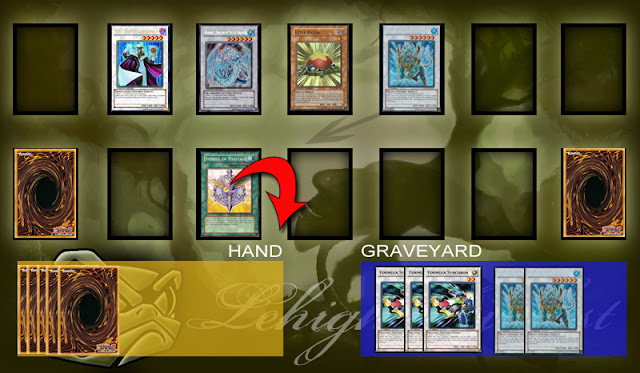 For an FTK to function the draw is way important. 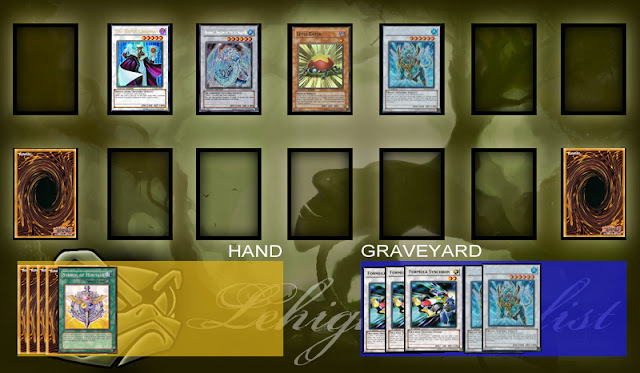 The water monsters have an advantage with Moray of Greed, and the fact that most of them function in the grave makes Hand and Card Destruction so successful in FrogTK, which even if it could have use POD it couldn't because of the special summoning and since the burn was specific Upstart never worked either (unlike Trish's Fishes) but all these are draw support cards whats most important are the cards you need to draw to go off. ALSO for those that are going to start whining about this deck just go with the flow it will be gone by next ban list with Generation Force coming out and all the water support thats coming: Cards like surfacing etc. Summon Dew with symbols. Use Dew's effect to bounce symbols to hand. Field now looks like this. Memorize this field cuz this will be how the loop comes back around. 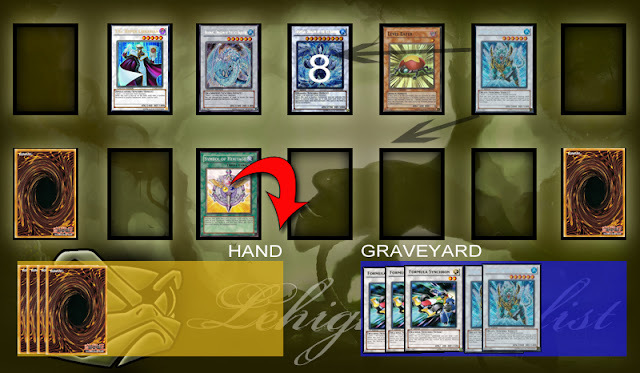 Play symbols to summon Formula Synchron (FS). Discard a card to bounce the symbols back to your hand with Brio's effect. Level Eat Trish to level 8, summoning LE, Play symbols to summon Dew. Bounce Trish and Symbols with Dew's effect. Your field now looks like this. Look familiar? Sure it does its the same field as 5 pictures up. Rinse and repeat till they have no hand. Ok Im a huge fan of fun decks, be it intricate combos, or interesting play styles. But I also love when you have a ton of diversity and options in a deck where each game plays a bit different than the last. Normally this diversity ends up at the expense of competitiveness. Strong tier 1 decks have very simple and straight forward win conditions, but a Dopple Synchro deck with some teched in chaos seems to be a jack of all trades and master of SOME. Chaos Sorcerer (3)- This varient mills alot and unless you got POA this guys only use in the grave is to help you summon another one, thus the 3 rather than 2 number. 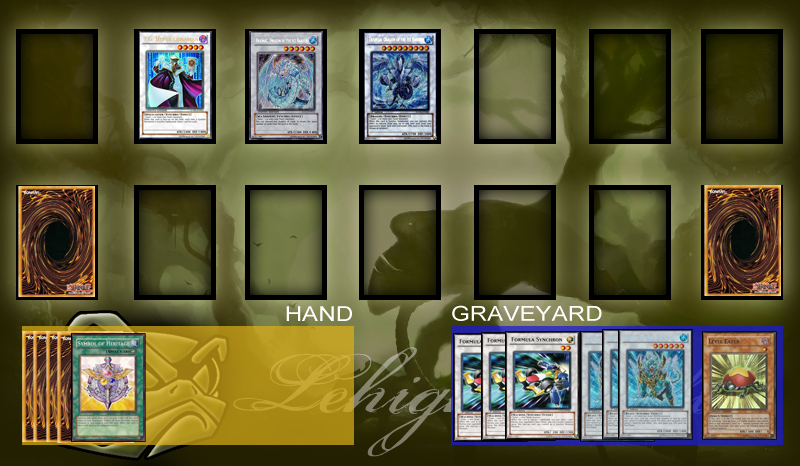 Wanna get crazy SS Sorcerer (remove a faceup monster) SS or summon Glow-Up/Spore/Veiler, synch for Arcanite Magican (use the counters to destroy 2 cards), SS Glow Up Bulb or Spore, Synch for Scrap Dragon and you have the option to use his effect for more destrucion, thats 4 cards and it can be done with out even using up a summon. D.A.D (1)- with the amount of graveyard control built into this deck DAD can be beast, I would chalk him up as tech and optional in the build but vary rarely do you draw him and are not able to figure a way to summon him. Dandylion (1)- OK OK I forgot dandy in the picture above. Yeah he got r4ped in the ban list but what are you gonna do? Run him at 1 stop running Quickdraw and let Junk have his moment in the sun. Debris Dragon (2)- A semi-limit on this card was not a huge set back, he is your go to guys for quick BRD plays heck with dandylion you can even get into shooting star. Doppelwarrior (2)- this is the guys that took the sting out of Dandy's ban list b-tch slap. And as a dark he also supports DAD and Chaos plays, but also he makes Junk Synchron playable another big dark in the deck. You can test him at 3 but I settled on 2. 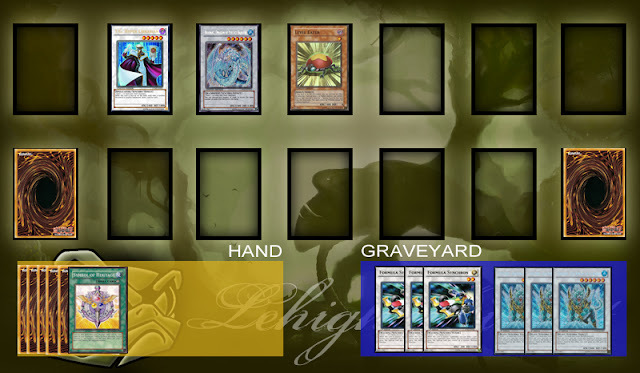 Effect Veiler (2)- Two is the standard for this format for most decks but in this deck EV shines. I tested out D.D. Sprite and was mehhhh. EV is not just a 1 star tuner that is light. The effect is a game saver as well. Junk Synchron (2)- Run him at 2 or 3 depending on your style I pulled the 3rd for a Lyla or maybe running Ryko at 3. When you look at all that he can bring out with his effect combined with having a doppelwarrior in your hand you brain may lock up going over all the possibilities. 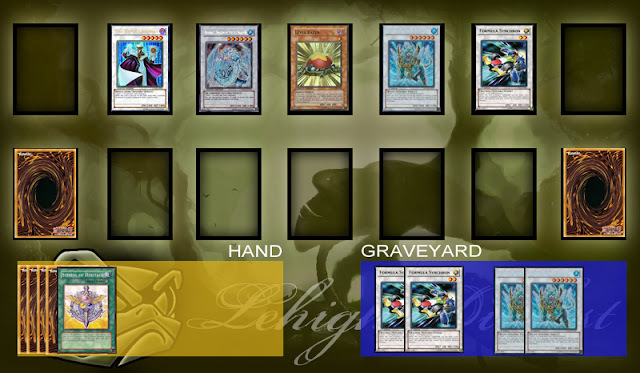 Lonfire Blossom (2)- Lonefire is one of those cards that just adds consistency and sets up big plays and really helps out with chaos since somtimes those dark and light monsters you need in the grave end up being synchros that lonefire helps you get at fast. Lyla (1)- is a tech choice and very easily could go into the side for a 3rd ryko or junk. Personally I like the destruction effect and will let her go the end phase to get the mill. Having another light aint to shabby neither and is why I put her in the main rather than the side, for now. K Im an idioy I didnt just forget Dandy I forgot One for One as well, I appologize I musta been drinking when I did this. Trap Stun (2)- Just works before making big plays and can be more than helpful in certain match ups. Props to Bear (whoever you are) in the OCG for first making me aware of Star Blast and Tempest Magician.